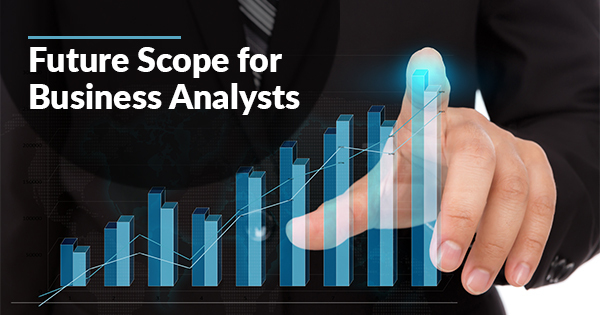 Blog Business Analysis What is the Future Scope for Business Analyst? In the 21st century, with a rapidly changing economy, we can notice a fast-reforming business landscape. This inevitably throws new business challenges with increasing demand for smart solutions. On one side, there is the new emergence of sophisticated technologies while on the other side, there are increased business demands from the customer ends to implement those. Consequently, now it is harder to impress customers with traditional business solutions. In this case, business analysis becomes important as it brings the most effective techniques that work out smartly with business challenges. No doubt this brings the bright possibilities in future of business analyst. Moreover, the organizations now mostly depend on data analysis technologies like Big data analysis for business growth. With the right business analysis techniques, business analysis has now turned into business intelligence indeed. Additionally, this provides a competitive edge to the organizations. Also, you will be delighted to know that as per the market survey India is leading the data analytics market following China and Europe which clearly shows up endless scopes and the future of a business analyst. In this blog, we will discuss exactly how and why the future of business analyst is so prosperous in the global market. 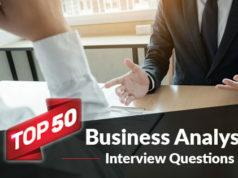 Before considering any other essentials or factors for becoming a business analyst, we should first understand what business analysis really is? So, here is the answer to it. Business analysis is a profession which enables the changes within an enterprise by clarifying the requirements and providing the solutions for the business stakeholders. Business analysts take data from Business Intelligence or directly from the customers and analyze that to generate plans for business enhancement. A business analyst role is not limited, and they work across various levels of an organization. They generally analyze collected business data to understand what is happening and the future possibilities to take proper measure for an optimized result that can meet the organizational goal. Hence, the key responsibilities of a business analyst are to keenly observe the business problems, understand the root cause of those and finding out the solutions and requirements for that. Read More about Business Analysis here. Future of Business Analyst – Is Business Analysis a Good Career? A good career means it depends on many factors and it also depends on an individual. Is business analysis a good career? If this question is in your mind, you’re in the right place. Considering the below mentioned basic parameters, yes, business analysis is no doubt a promising career. Once you get hold of this role with enough knowledge you can move to project management or consultant roles that can cater from functional to pre-sales consultant or even IT PMO. Business analyst role offers a lucrative salary which is why it is one of the most sought-after jobs for many professionals. We have discussed business analyst salary in the following sections of the article. When every sector of IT is experiencing the footsteps of automation, the business analyst is a role which can’t be automated. This is a purely people-oriented job. Hence it cannot be replaced by a robot. So, your job is secured. As a business analyst, you will get the chance to grow by leaps and bounds with the latest technologies like Big Data. Hence, if you are comfortable with data and dig into this area, then you can move to the business analytics field soon. Business analyst future prospects and the scope is ever expanding in India and across the globe. Today, most of the organizations rely on big data analysis to get valuable data insights. Hence, recruitment spree for big data experts is high. This particular job role is related to business analytics that needs a blend of right business analysis skill with hands-on exposure to the business analysis tools. 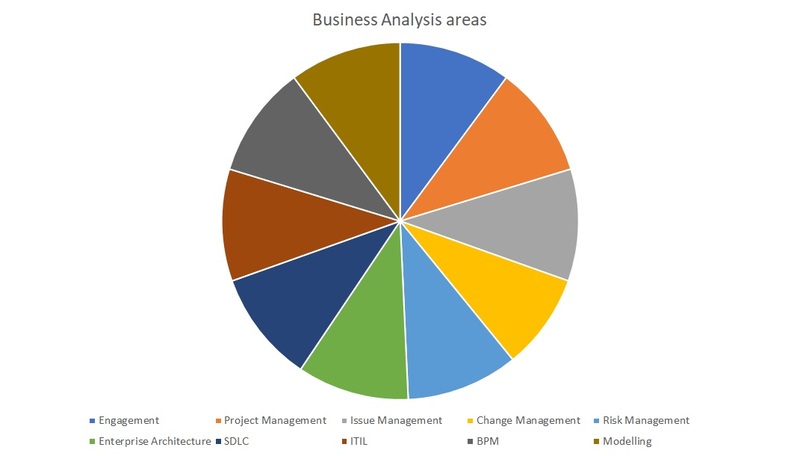 Moreover, business analysis is an area which merges with several operational areas of an organization (as shown below) throughout the project lifecycle. As a result, a business analyst plays an instrumental role throughout the project which increases the demand for business analysts in organizations. BPM (Business Process Modelling) functions, and many more. Not to mention the scope and opportunity are endless in the business analysis domain! As organizations are following data-driven analysis, so in most of the cases business analyst role is mixed up with data analytics which is going to play an important role for data security systems of an organization. This, in turn, is acting as a contributor in making the future of business analyst prosperous and bright. With the enhancement of IoT (Internet of things) and Big data analytics, it is forecasted that this combination of technology will grow exponentially by the year 2020. Business analysts are supposed to get a wide scope of work in the business analytic area which is dealing great with the enormous amount of data either structured or unstructured that is being collected through IoT, continue to grow in the near future. No doubt, business analytics is going to be an emerging area for the future of business analyst. Is Business Analyst Salary Good Enough? The global average of business analyst salary is $83,500 whereas as per PayScale, in India the national average is Rs 1,217,414. It is observed that business analyst salary continues to grow on an average of 3% in 3 years in the USA. Of course, salary varies widely based on the location and other economic factors of a country. However, worldwide the average business analyst salary is above $75k. It has been observed that if as a business analyst someone holds industry-recognized certifications like IIBA CBAP or PMI-PBA then the earnings increases significantly within the short tenure of service. In the USA, the average salary of top certification holders is around $85k which signifies almost 11% more than that of normal average. Like any other professions, the average business analyst salary increases with years of experience whereas the average increment is maximum for the newcomers. The data shows the average increment is more than $2000 per year. Additionally, the educational degree also matters a lot. For example, if someone has a master’s degree along with the business analyst experience, then their salary increment will be more than that of a bachelor’s degree holder. Moreover, in the first two years of service itself, a BA can achieve on an average 37% salary increment. It is an undeniable fact that salaries diverge across the industries in a country. Considering this if we investigate BA salary report of the USA, the average salary of the lowest paying industry was around $81K whereas the highest paying salary was $100000. Hence, to achieve the long-term salary potential as a BA one can observe the industry reports to take the proper financial decision. 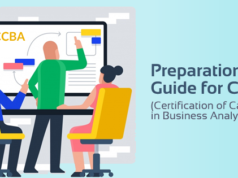 How do Certifications Enhance Business Analyst Future Prospects? This is a proven fact that any professional certification aids in directing a path for professionals to meet a career goal. Along with that, it makes their credibility above questions in the industry. In the same line, Business Analysis Certifications help hugely a professional to look beyond their current role that they are in. Also, it helps to strengthen the future of the business analyst. If we consider the roles and responsibilities of a BA, then there are multiple benefits of taking BA certifications. Not to mention, the person who understands its role well, must be able to deal with complex business issues smartly. Here are some of the reasons why you should go for business analyst certifications. A business analyst sometimes plays a frontier role in the industry and becomes the person in charge who communicates directly with the clients to understand their requirements. Hence, right communication is a paramount criterion here without which a project can be misleading, affecting long-term financial loss for a company. This is relevant to whether the project is a technical or non-technical one. 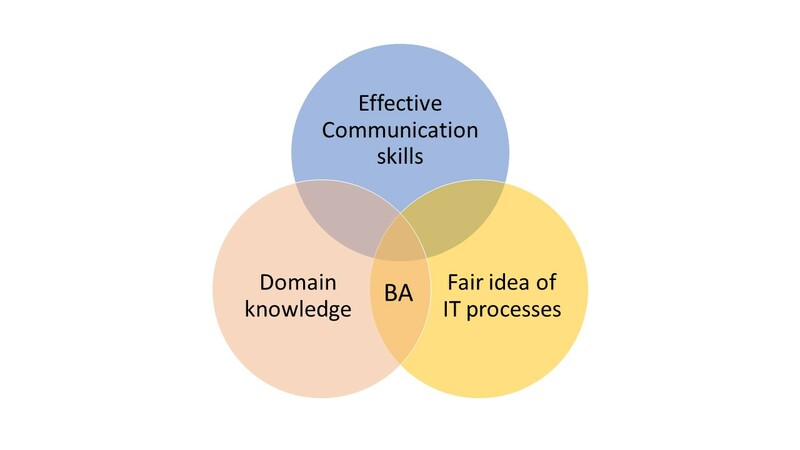 So, effective communication, right technical and non-technical skills are important factors to become a successful BA. BA certifications like CBAP and PMI-PBA are designed in a way that it correctly meets this required criterion in a candidate. Innovative thoughts, analysis capability and most importantly documentation ability are some of the critical areas that a business analyst must be honed to help an organization to achieve their goal. When you are certified, your problem analysis capability is validated to make you stand out of the crowd. Brainstorming is a part of a business analyst job. Not only that as a business analyst sometimes one needs to provide speedy solutions which go beyond standardized enterprise processes but also it associates with the right solution to avoid any losses. This kind of expertise can only be achieved through certifications like CBAP. As part of their job responsibility, BAs are supposed to aid proper requirement to other teams. Here it is important to note that if the requirement is correct, it dramatically reduces the chance of rework and not to mention related cost. There are various scientific processes for requirement analysis which one can get to learn through industry-recognized certifications. A certified business analyst gains specialized skills with which he learns how to provide multiple solutions for a single problem. This sometimes aids in practical solutions for problems even without any intervention of information technology. As a result, it reduces the overall cost of an organization. 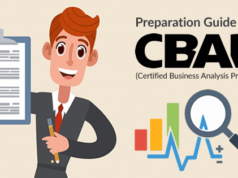 As you see the future of business analyst is an ever-growing area, hence if you want to pursue BA certification Whizlabs can help you with Business Analysis Certifications Training programs that prepare you for the leading BA certifications like IIBA or PMI referred ones. We provide exam simulators and free test options for the candidates that help them to cover the 100% syllabus with the actual exam like scenarios. Right business analysis skills affect the success of the business itself and suggest the best solutions effective in the long-run. So, why late? Join us today and experience the prosperous future of business analyst! This article showing your your great thinking…waiting for your next research from you brain.